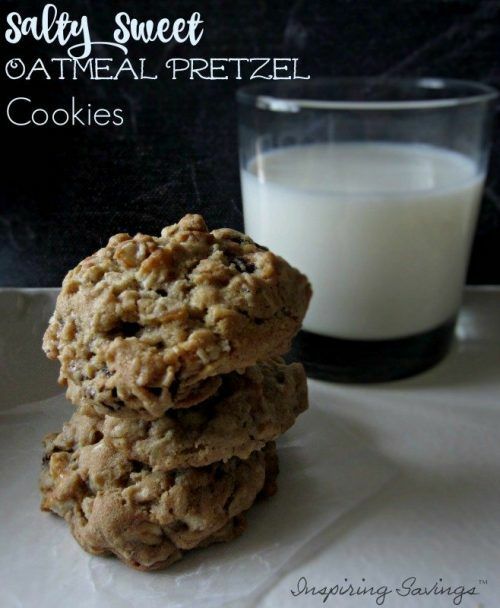 Delicious Chewy Oatmeal Cookies with a twist. Baked with pretzels these cookies turn out to be salty and sweet. A great combination for your taste buds. 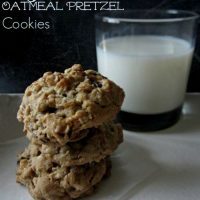 You will love these Salty Sweet Oatmeal Pretzel Cookies. 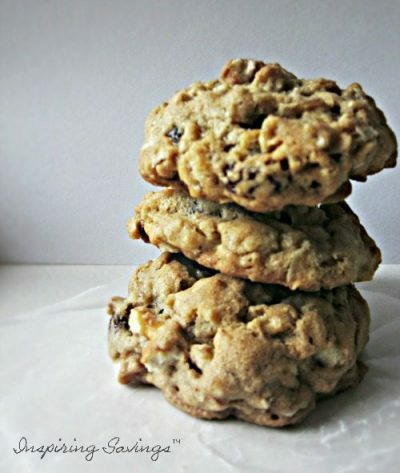 Raise your hand if you are a big fan of oatmeal cookies? They are one of my husbands top favorite cookies. He loves them so much. I actually like to play around with making new additions to old classics. These salty-sweet oatmeal cookies are studded with chunks of raisins and pretzels before baking which gives them an addictive flavor. These cookies are part dessert, but mainly a snack (that is what I call them). They are more cookie-like, but sort of cracker-like too from the crispy crunch from the added pretzels. I have to mention that these cookies are perfectly paired with a cup of tea or coffee. This is what makes them super addicting. Serve them as a simple dessert or grab them as an on-the-go snack or HECK you can make them as an on the go breakfast item. They are flexible little numbers and packet with whole grain rolled oats. These oatmeal cookies — plain with a salty twist. They don’t call for any special ingredients or fancy techniques, and you probably have everything that you need in your pantry right now (go check, I’ll wait). These cookies may look plain… perhaps, but I promise they have amazing personalities. You will want to eat them for breakfast. I always make the excuse that they do contain rolled oats, which is a very healthy breakfast. Maybe not, but they are super addicting. 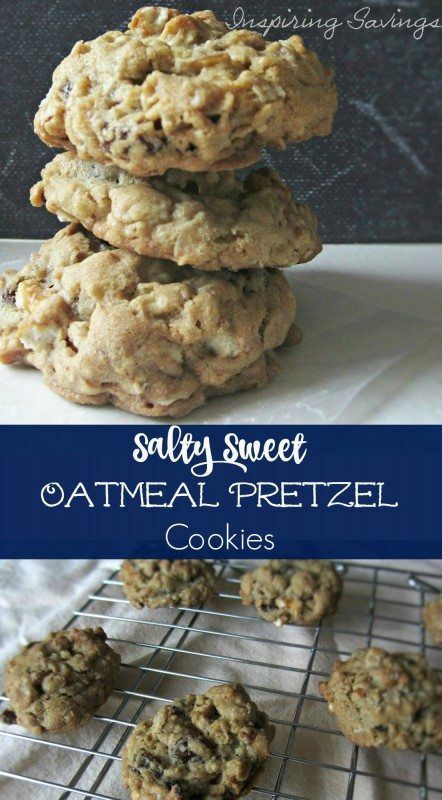 The name says it all — these Salty oatmeal pretzel cookies are big, soft, buttery and all around perfect bakery-style cookies! Made with old-fashioned rolled oats, crushed pretzels, and plenty of butter, this old-time favorite cookie is a classic favorite with a salty twist. I hope you’ll give it a try! Slowly add in flour & rolled oats.